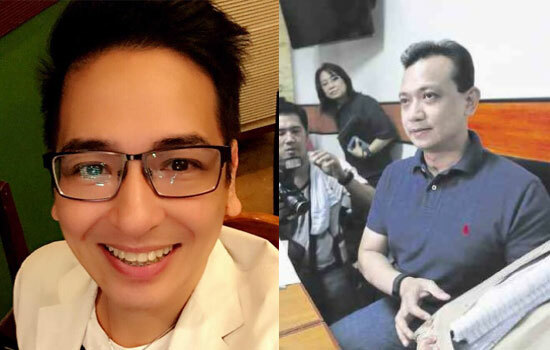 The former Super Sireyna of Eat Bulaga and now a well-known lawyer shared his thoughts against Senator Antonio Trillanes IV on his accusation to Davao City Mayor Duterte for allegedly not declaring a bank account with 2.4 billion pesos. Atty. Bruce Rivera list down all of his reactions over Sen. Trillanes. On the latest statement of Sen. Trillanes, Mayor Duterte's bank account has a transactions amounting to P2.407 billion and involving 17 accounts in three banks in Metro Manila. It was recorded over a 9-year period, claimed by Sen. Antonio Trillanes IV and showed the documents to the Inquirer. First, who authorized you to look into these bank deposits when it is only the AMLAC and a court order that will give someone the authority to snoop into these accounts. If the banks will not vouch for the veracity of these statements, then these are merely malicious accusations. You do not need to dare the Mayor to open his accounts because it is unfair to ask him to do something while the others are conveniently left alone. Why dont all of you, including you, Sen. Trillanes open all your bank accounts so the Filipino people will know your real assets. Remember, Duterte has never been charged with plunder to justify looking into his bank assets. No one in his right mind will file a case because if you see his lifestyle, no breath of imagination will justify plunder. Why dont you look at your friends and ask the same question. Also, no self-respecting bank will admit this is real because it will run the risk of placing its existence in jeopardy. Imagine tomorrow, all BPI depositors who are supporters of Duterte will withdraw all deposits. Sir, just because you have a piece of paper that has numbers in it does not mean we believe it. Second, why don't you file plunder charges and let your evidence speak for itself. Who knows, kung manalo ka, ikaw ang papalit kung maimpeach si Mayor. Remember that the government charged Napoles with looting P10B. And how much were you able to prove? None. Just the fact that she kidnapped Luy and viola, life imprisonment. Third, and I am talking simple, plain and honest logic. Do you think, Mayor Duterte, a lawyer, a seasoned public servant, a certified wise guy and street smart would opt to deposit a very big amount in a couple of local banks outside of Davao and here in Manila, within striking distance of the enemy!! Kung magnanakaw si Mayor, hindi naman siya ganun katanga? Hindi din kami ganun katanga to buy your story. And now let us go to why I should not believe your story. First, you are a jilted lover. You went to Duterte and asked to be his running mate. He did not chose you. It was a very sound decision for Mayor. Because nobody wants someone like you. You began your carreer as a renegade soldier who occupied a hotel becauss you were too lazy to hold ground under the heat of the sun. Second, you are a liability in public service. Even when you are still in jail, your office in the Senate is the largest employer of consultants and most costly. And what is your output? Zero legislation. You managed to smear VP Binay, though. You are the reason why Grace Poe can confidently run for President because if an inept Senator whose only claim to fame is to make accusations, baseless or not and hide under the protecfion of immunity can aim for VP then why should she aim for the same position, she definitely did more work. Third, you hated Binay like he was the evil man who stole from the coffers. You never hated Duterte. In fact, I am sure you loved his guts only that you did not have the Visayan balls that can withstand even cataclysmic typhoons. You just hate him now because he is getting in the way of the status quo and your are the attack dogs of the oligarchs. That is why we hate you too. Not just the Dutertands but everyone who pays taxes and knows better. After all, we paid you to make laws and you have not only done that but you brandish this flaw in your character like it was something endearing and lovable. Comments or suggestions about "An Open Letter to Sen. Trillanes 'PURE EVIL' by Atty. Bruce Rivera" is important to us, you may share it by using the comment box below.